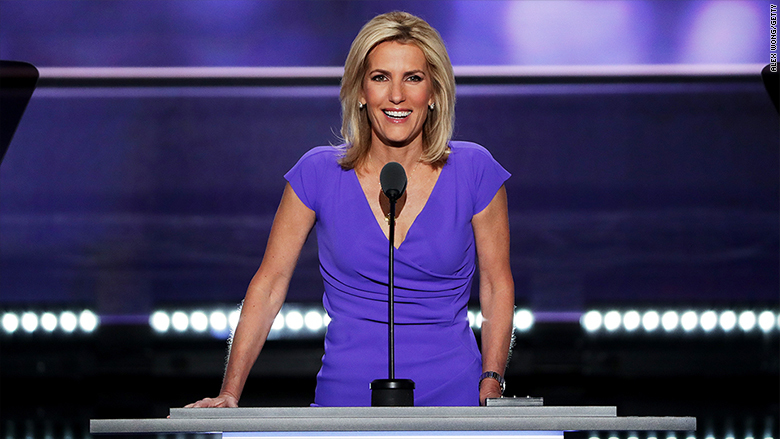 Longtime Fox News contributor and fill-in host Laura Ingraham is in line for her own show on the channel, possibly in a key prime time hour. On Monday a source with knowledge of the matter told CNN that there are talks underway between Ingraham and Fox executives, but no decisions have been finalized. The addition of an Ingraham talk show could be part of a bigger-picture reshuffling of Fox News Channel's highly rated schedule. A Fox spokeswoman declined to comment and Ingraham did not respond to a request for comment. Ingraham has been a paid contributor to Fox News since 2007. The show that's been discussed would be a big promotion. Matt Drudge, who is well-sourced in conservative media circles, spurred intrigue about potential changes when he tweeted this on Monday: "FALL PREVIEW: Laura Ingraham's prime time to shine! After years in the trenches, much deserved." Drudge got tongues wagging, which may have been his goal. The prime time hours on cable news are 8, 9 and 10 p.m. When Megyn Kelly left for NBC in January, Tucker Carlson took over her 9 p.m. time slot. Then in April when Bill O'Reilly was removed amid a sexual harassment scandal, Carlson moved into O'Reilly's 8 p.m. time slot and the channel's 5 p.m. conservative talk show "The Five" moved to 9 p.m. Sean Hannity remained in place at 10 p.m.
Now there is speculation inside and outside Fox that another schedule shake-up is in the works. The cable news channel seems to be exploring programming options in the event that Eric Bolling does not return. Bolling is the centerpiece of the 5 p.m. show that was created when "The Five" moved to 9. It is called "Fox News Specialists." Earlier this month Bolling was suspended pending a probe into accusations that he sent lewd texts to colleagues, which he has denied. If Fox News executives need to replace "The Specialists," "The Five" could be shifted back to its original 5 p.m. time slot. Then Ingraham could take over at 9 p.m.
Alternatively, Hannity could move up one hour to 9, and Ingraham could take over at 10. Or maybe Fox executives have something in mind that nobody else has thought of yet. Along with the Bolling suspension, another subplot is the ratings race between Fox and MSNBC. The MSNBC host Rachel Maddow has snapped Fox's winning streak in the 9 p.m. hour. So Fox executives are asking themselves: Would Ingraham be a better match against Maddow than "The Five" currently is? Ingraham is a vocal supporter of President Trump, just like some of the co-hosts of "The Five." She is already a popular radio talk show host, with a three-hour morning time slot on stations across the country. She also operates a conservative-themed news and features site called LifeZette.